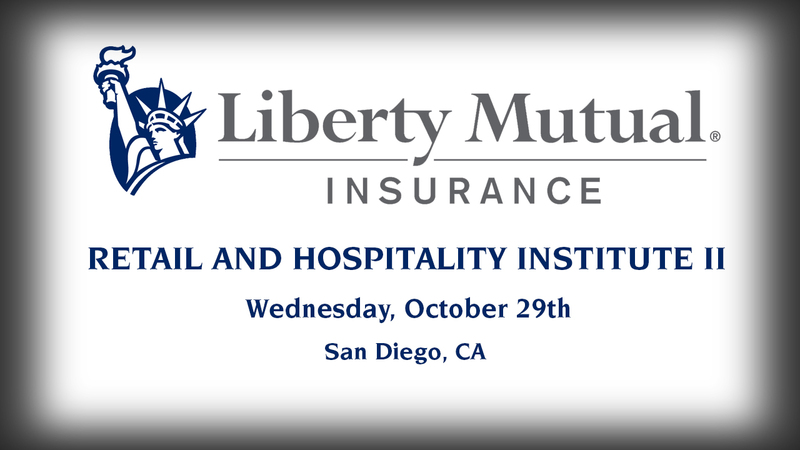 For more information contact Liberty MutualÂ atÂ LPED@libertymutual.com with questions. The Supreme CourtÂ agreed Monday to referee a dispute over police access to hotels’ guest information without first getting a searchÂ warrant. The justices said they will hear an appeal by the city of Los Angeles of a lower court ruling that struck down an ordinance that requires hotel operators to open their guest registries at the demand ofÂ police. The federal appeals court in San Francisco divided 7-4 in ruling that the ordinance violates the privacy rights of the hotels, but not theirÂ guests. And for more information on how to best handle police requests for information, check out Petra’s own Director of Risk Management, Todd Seiders, in this P3 Risk Management Update “How to Handle Police and Law Enforcement Request for Hotel Guest Information”. Petra’s Director of Risk Management, Todd Seiders, has put together his best recommendations regarding the Ebola virus. 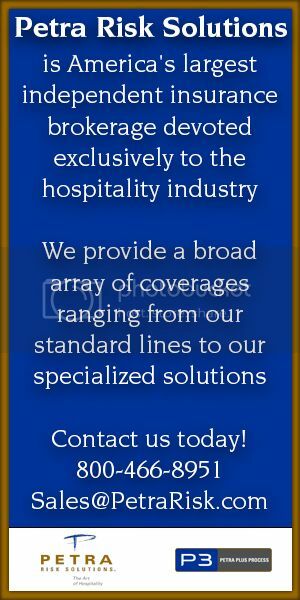 Please click the image below to view the listÂ at it’s full resolution and be able to save the image for personal use or toÂ pass along to anyone you may know in the hospitality industry! Ebola fears are most obvious in the airline sector. Shares of American Airlines Group (AAL) and Delta Air Lines (DAL) fell sharply on Wednesday, hurt by the news that the new Ebola patient flew the day before being diagnosed. Both airlines are down nearly 20% over the past month alone….Hotel stocks like Hilton Worldwide (HLT) and Starwood Hotels & Resorts Worldwide(HOT) have also been punished by the Ebola concerns. The Ebola epidemic is starting to contaminate sentiment on Wall Street, which is already losing sleep over countless crises. The arrival of Ebola in the U.S. has coincided with a period of extreme turbulence in the stock market, which has tumbled about 8% from record highs. The deadly virus is clearly not the only factor behind the market slide, but it’s a major unknown that is increasingly weighing on market psychology. That was the case again on Wednesday as the Dow plummeted as much as 370 points and health officials revealed a second health-care worker in Dallas tested positive for Ebola. The next step for the industry is taking those positive and negative reviews into account when setting rates. Molinari said Las Vegas Sands isnâ€™t quite there yet but noticed software developers are innovating in the space…Davis said she has developed her own metrics and is taking ratings and reviews into account when determining her price positioning, although she admits her process is a bit subjective and does not rely on a specific algorithm, such as a software program might. Online reviews increasingly are affecting booking decisions, although not all traveler segments behave the same way, according to research and various industry sources. Multiple studies recently have highlighted the importance of guest reviews and ratings in the booking funnel. A study conducted by TrustYou and Donna Quadri-Felitti, clinical associate professor at New York Universityâ€™s Preston Robert Tisch Center for Hospitality and Tourism, concluded that guest reviews have a significant impact on hotel conversion rates as well as the rates that travelers are willing to pay. Given equal prices, travelers are 3.9 times more likely to choose a hotel with higher review scores, the study showed. And when hotel prices are increased for hotels with better review scores, travelers are more likely to book the hotel with the higher score despite the higher rate. The person called the guest, claimed to be working the front desk of the hotel, then convinced the guest to release their credit card information, police said. Later, the guest became suspicious and called the front desk and realized they had been scammed. A scam artist claiming to be a hotel employee in downtown Denver tricked a guest into giving out their credit card number and security pin. The same scam was attempted on four other guests on the same night, according to the Denver Police Department. Investigators did not say which hotel the scammer targeted. And for more information on how to best handle hotel hoaxes and scams, check out Petra’s own Director of Risk Management, Todd Seiders, in this P3 Risk Management Update “Hoaxes and Scams”. Anna Burgese says she was attacked early last year in the lobby of a South Beach W Hotel by drunken hookers who mistakenly believed she was competition. She and her husband say they hired undercover agents to visit W Hotels all over the country, according to Philadelphia Daily News, and found prostitution runs rampant. The W Hotel chain openly allows prostitution in their facilities, a New Jersey couple claims in a recent legal filing obtained by the Philadelphia Daily News. Anna Burgese of Medford, N.J., says she was attacked early last year in the lobby of a South Beach W Hotel by drunken hookers who mistakenly believed she was competition. The attack was captured on surveillance video. As a result, Anna Burgese and husband Joseph say they hired undercover agents to visit W Hotels all over the country, according to the newspaper. Using big data to gain insights about hotel guests is a relatively new development in the lodging industry. When done right, it can provide actionable intel to hoteliers that can boost room rates and drive more business to loyalty programs and marketing campaigns. And there are plenty of tech outfits stepping up to lend their expertise to hotels. â€œWe have 18 companies now that weâ€™ve invested in through Thayer Ventures, our venture capital arm, all in the hospitality travel technology space,â€ says Lee Pillsbury, co-chairman and chief executive officer of Thayer Lodging Group. â€œOne is able to analyze the number of airline passengers overnighting in New York City in any date in the future.â€ If thereâ€™s a huge snowstorm coming to New York, Pillsbury says, the company will take into account the weather forecast and the 600 flights that will be canceled and determine the number of people who will now be staying overnight in Las Vegas as a result.